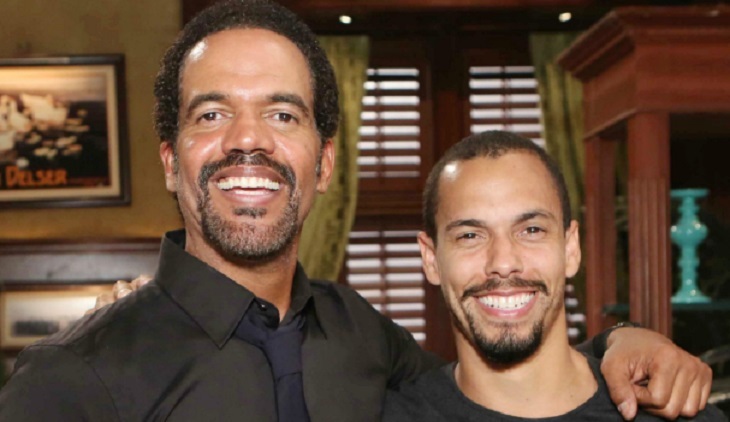 The Young and the Restless (Y&R) star Kristoff St. John posted to Twitter about the writing change on the CBS soap opera. He welcomed Josh Griffith back to the set, writing that the talented writer will focus on core characters. So, what’s ahead for Y&R under the new writing regime? St. John gives the Y&R fans a preview. Character Assassination Over On Young And Restless? Under Mal Young’s direction, many of the core characters were put on the back burner. Characters like Paul Williams (Doug Davidson), Neil Winters (Kristoff St. John), Gloria (Judith Chapman), and Adam Newman (not cast) have not been seen in a long time. When they do pop up, it’s to prop another character. St. John believes under Griffith’s reign, that will end. He will bring Y&R back to what it once was. He said it’s up to the fans to protect the show as Bill Bell, SR. created the show and it is his legacy. When asked when he would be returning to the show, he replied, “very soon.” With New Year’s Eve coming soon, he will likely be present for that. Plus, Cane (Daniel Goddard) will spiral downward as he tries to cope with life without Lily (Christel Khalil). Neil will likely be the sounding board and the person who pulls Cane out of his destructive slump. The Y&R fans hope that Josh Griffith will be able to turn the soap opera around and make some positive changes. Many are not happy with the storylines, especially with lack of the core characters on the show. Kristoff told his followers to be patient, “Good things are coming soon.” Don’t forget to come back later for more Young and the Restless (Y&R) spoilers, news, and casting updates!